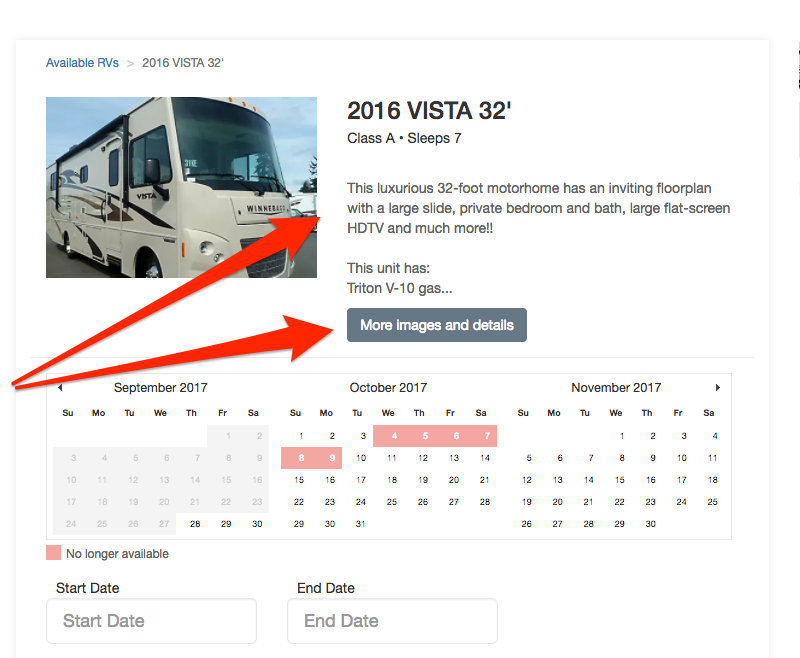 How Do I Change the Listing Details (Highlights & Description) for My Vehicles? 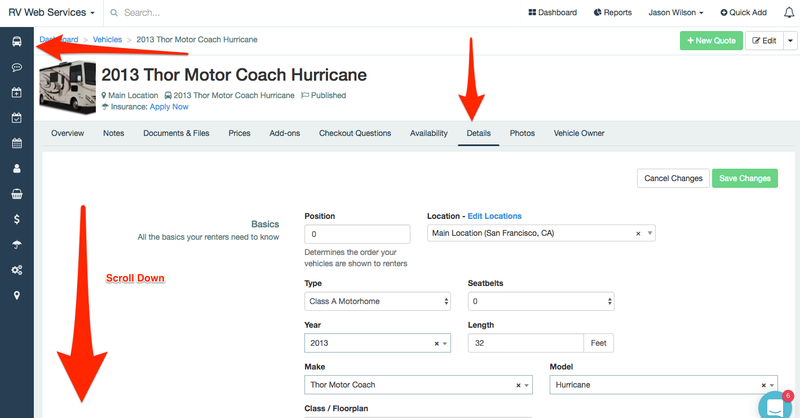 Learn how to edit the Highlights and Descriptions fields of your vehicles' listings online. 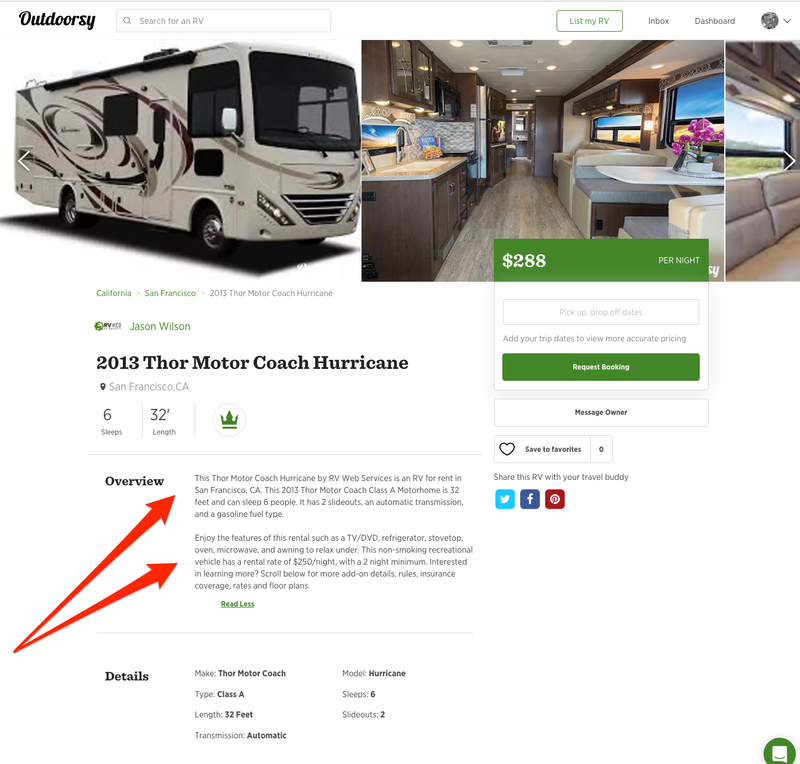 Vehicle listings, on Outdoorsy.com and Wheelbase integrations on dealer websites, prominently display text beneath the photos (See 2 images below). 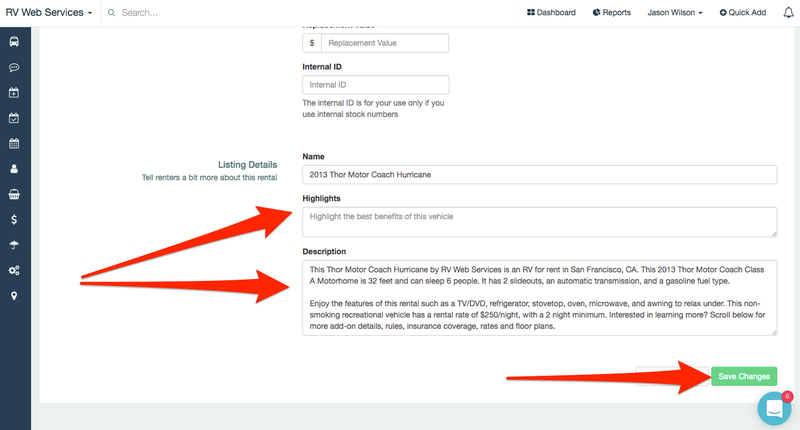 This text is pulled from the Highlights and Description fields of a vehicle's settings.